Mobile App Builders/Services – Google Docs. 50 Free Apps We’re Most Thankful For. 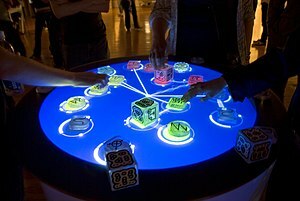 Reactable: Live performance submixpro studio • VideoSift: Online Video Quality Control. The Digital Newspaper: Hands-On with 4 Top iPad Apps.